When incorporating darker design into your home—it’s important to tread lightly. Here are a few things to try. 1. Dark wallpaper with bright floral contrast. This can make a strong impact and instantly create a mood. 2. Rich textiles that add a layer of lux. 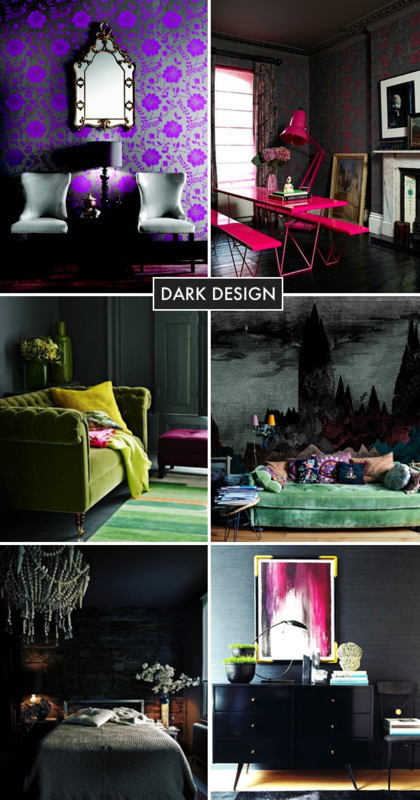 The juxtaposition of velvet against a darker space is lovely. 3. Paint a dark wall or buy a piece of dark furniture. Purchasing a piece in black or painting a wall a deep navy makes a strong statement. Velvet is a textile that always makes a triumphant return in fashion each fall. But we love how this textile adds a layer of lux to any space. 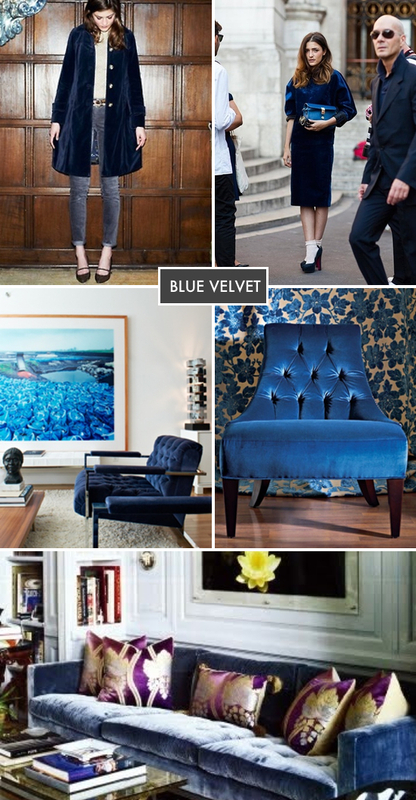 Above is an inspiration board full of beautiful blue velvet. There’s just something about these clean-lined patterns and shapes that have us drawn to all things geometric. May it be sculpture art, a patterned textile, or a painted wall—it all adds visual interest to a space. Of course, adding color takes these geometric designs to another level (which we love). 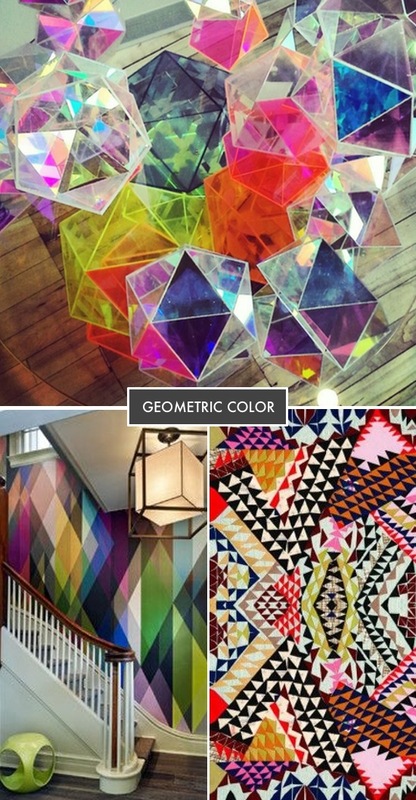 Above is our inspiration board full of geometric color!